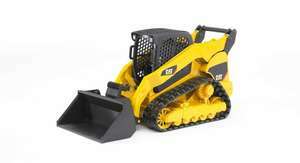 The CATERPILLAR Multi terrain loader is truly multi-functional. Powerful, flexible and mobile: it is the number one choice for any small area. 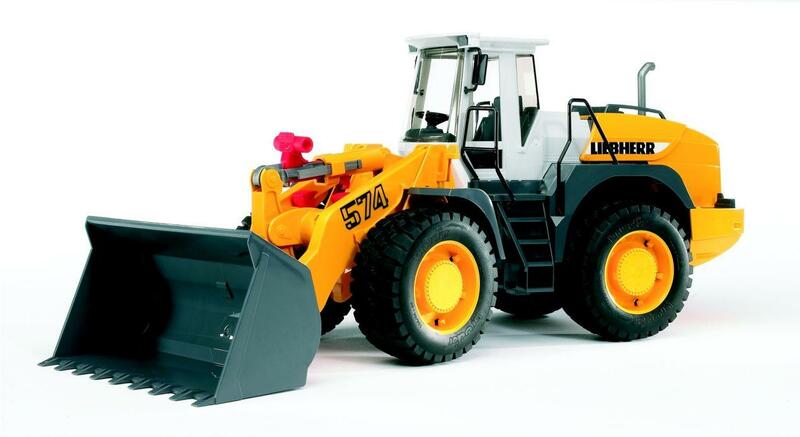 The functions of the CAT Multi terrain loader are comparable to those of the CATERPILLAR compact loader, but the Multi terrain loader has a rubber-chain drive, creating a much lower ground pressure. It is great fun seeing how precisely the chains work while you move the CAT Multi terrain loader over all types of surface, particularly when playing. 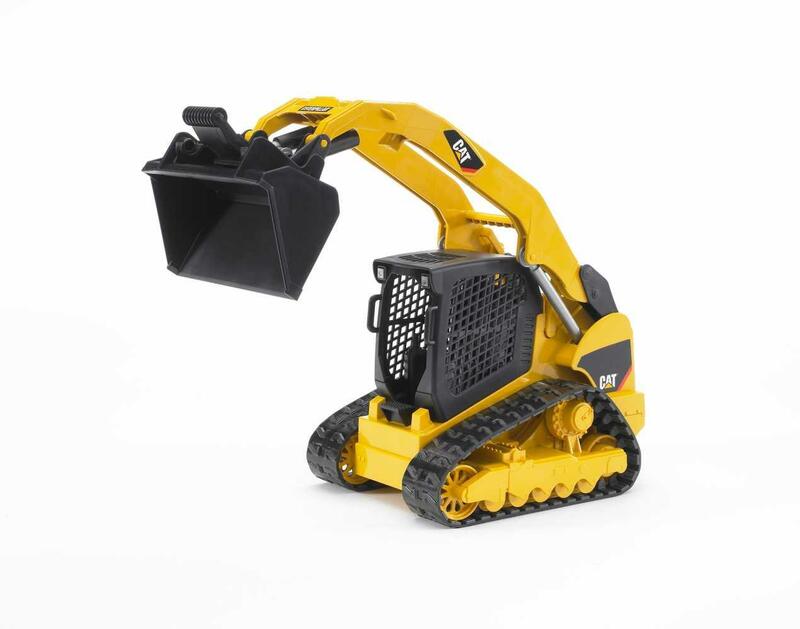 The movable arm of the CAT Multi terrain loader can be locked in many positions and reach particularly high thanks to its special construction. An adaptor for attachments already used on several Bruder vehicles allows the CATERPILLAR Multi terrain loader and its attached equipment to master all types of work in no time. 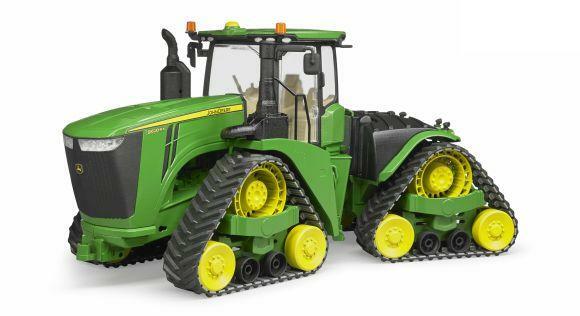 My grandson loved this along with the other Bruder toys we got him for his 3rd birthday. Superb.